Author Brian Yarvin takes us on a 100+ recipe around-the-world culinary tour, from Malaysian Assam Laksa (fish in a spicy tamarind noodle soup) and Tibetan Then Thuk (handmade noodles in broth), to Turkish Rokali Eriste (noodles with arugula, walnuts, and yogurt) and Mexican Puchero Vaquero de Zacetecas (Cowboy beef and noodle stew). Noodles are part of worldwide cuisine, from Central Europe to South America to Africa. The range of grains, flavors, and textures is dazzling. 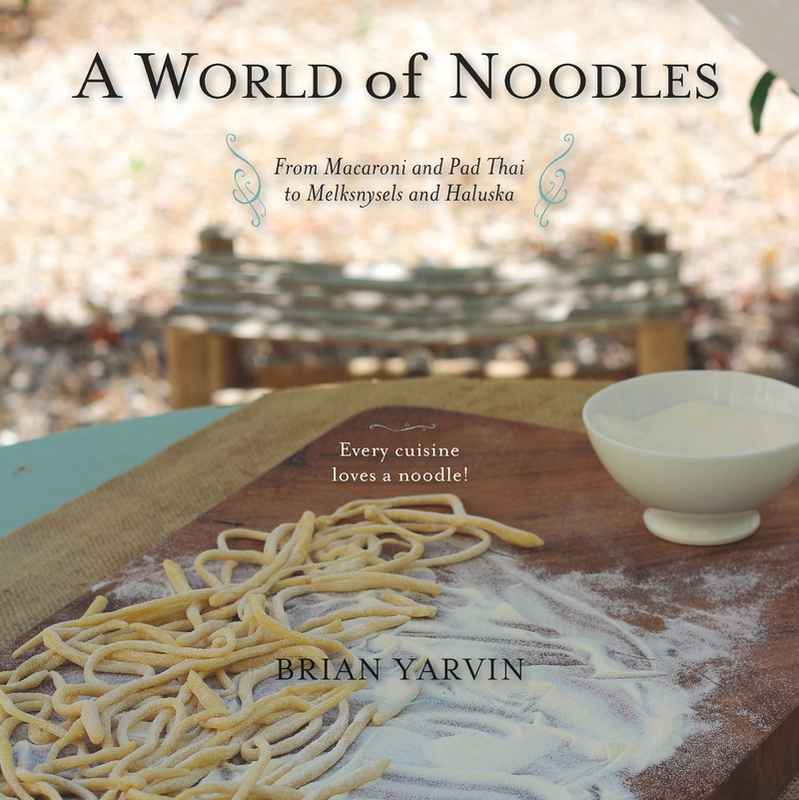 From making the dough to preparing complete dishes with delectable vegetables, meats, and spices, author Brian Yarvin will help you get delicious results, and his writing will entertain you throughout. Brian Yarvin is the author/photographer of several cookbooks, including A World of Dumplings and Too Many Tomatoes (both Countryman). He lives in New Jersey.